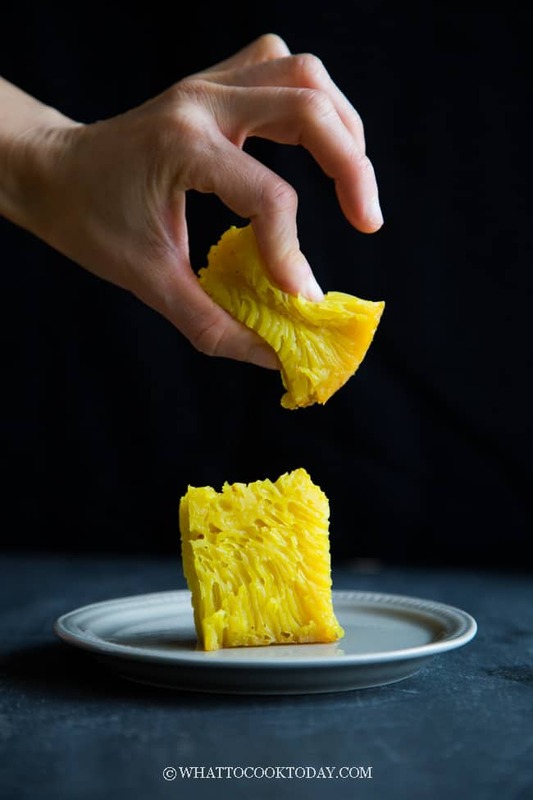 Learn how to make squishy and rich bika Ambon or Kuih Bingka (honeycomb cake) with this easy, no fuss recipe that gives you amazing honeycomb texture. 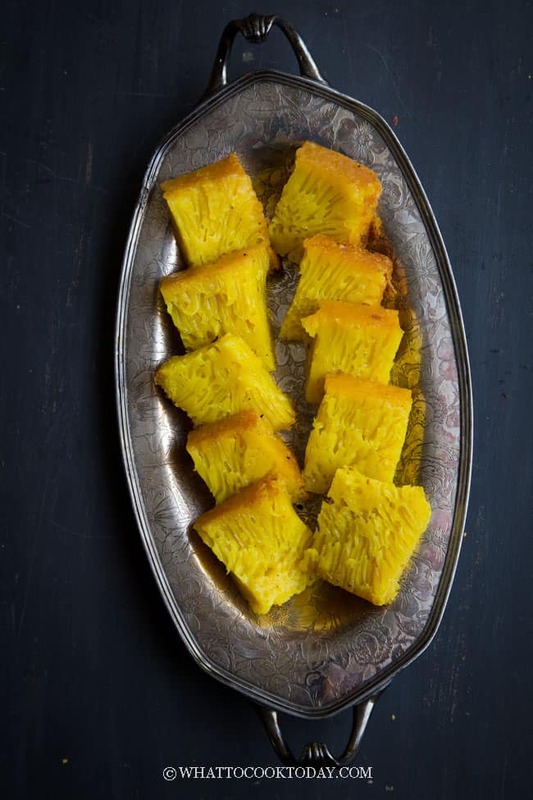 Bika Ambon or kuih bingka is one of the very popular cakes originated from Ambon Island in Indonesia and it becomes super popular in my hometown, Medan, West Sumatra. It is actually considered a delicacy. It is made famous by this one shop who started selling only Bika Ambon cake and a few years later, the whole street is filled with other shops selling Bika Ambon too. Those shops are especially busy during the holiday season like Chinese new year, Eid al Fitr, Christmas, I mean..you name it, any occasion. People purchase them mainly for gifting. You will see people packing tens of boxes of these cakes to bring back home all across Indonesia and to overseas too. I haven’t had Bika Ambon for a really long time. I always thought it was difficult to make. In Medan, Bika Ambon is traditionally made using Palm Wine (Tuak in Indonesian) instead of yeast. Palm wine is an alcoholic beverage made from the sap of palm tree (according to wikipedia) and it is used in many other cakes back in the old days. I saw my grandma used tuak often in her other baking. Here in Minnesota (or perhaps in the U.S. I must say), I don’t have access to Palm Wine and so yeast is used. The result is still really good. I’m not kidding! I was beyond thrilled to have made this probably at least 5 times and they always turned out great. The cake is squisy, soft, with that amazing kaffir lime leaves aroma. All the ingredients can be easily sourced. You may need to get kaffir lime leaves from the Asian store, but if you are lazy, you can always get it from Amazon. You don’t need to do fancy set up to bake the cake either. Just need your oven to bake the bika ambon. That’s it. Seeing those tubes running from top to bottom just made my day. In Indonesia we call this bika ambon bersarang. Bersarang means honeycomb-like. 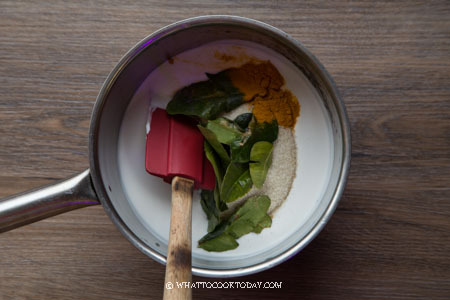 This recipe uses pretty common ingredients with an exception on kaffir lime leaves, which you may need to find at Asian grocery store or get it online from Amazon. You will not be disappointed with the result. The texture and taste are just spot on! My two kids and hubby love this bika ambon for sure! 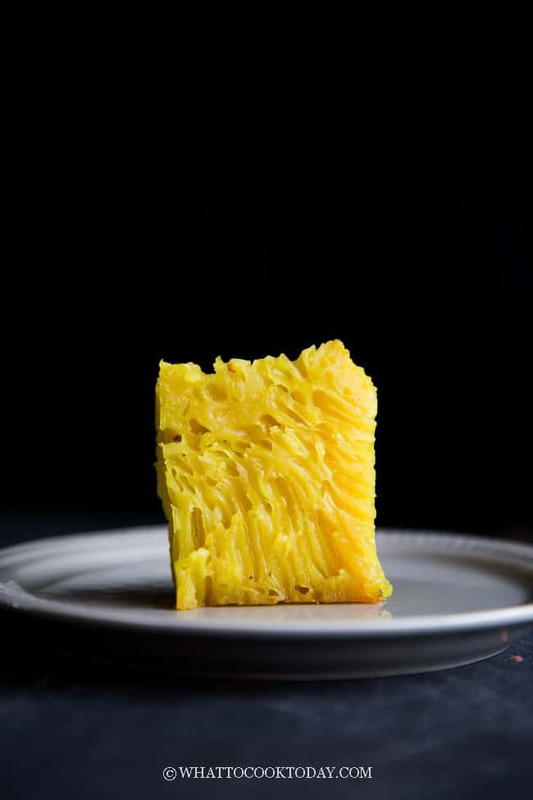 STORING: Bika Ambon can be stored in the refrigerator for up to a week max. They do tend to harden once it is refrigerated. REHEATING: Simply steam them over high heat for 1 minute and they are as good as new or you can microwave them by placing them on a plate and then cover with a damped paper towel and microwave on high for a minute or until heated through and soften. 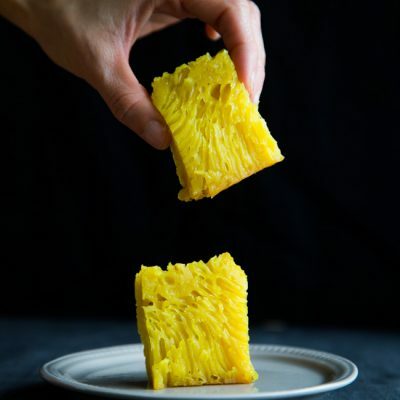 Recipe was originally adapted from Kitchen Tigress in 2017 and I modified to lengthen the resting period and standardize the recipe for easy measuring. 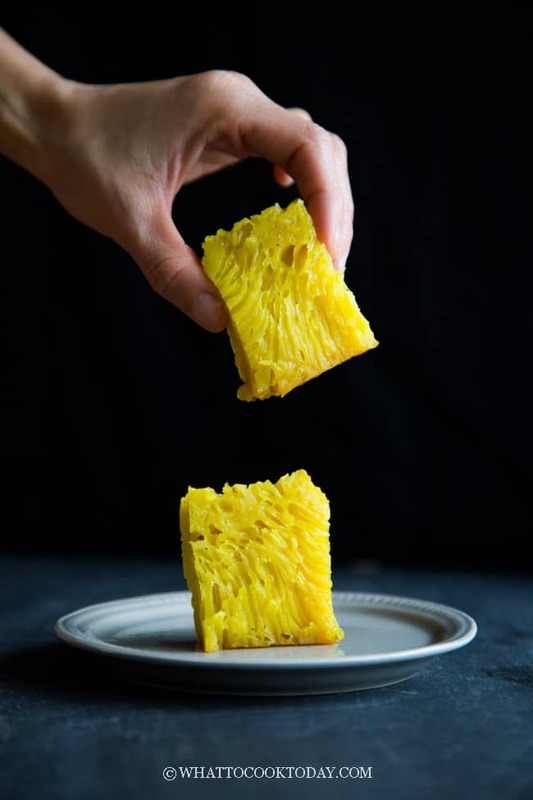 Learn how to make squishy and rich Bika Ambon or Kuih Bingka with this easy, no fuss recipe that gives you amazing honeycomb texture. 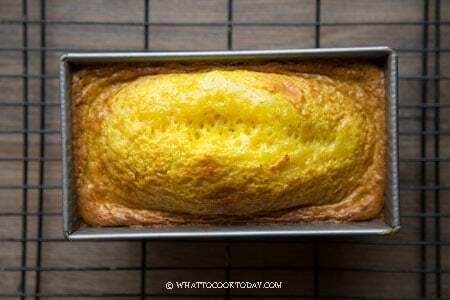 Preheat your oven to 330 F. I use a 20 x 10 x 6 cm loaf pan so that the cake is a bit "higher". 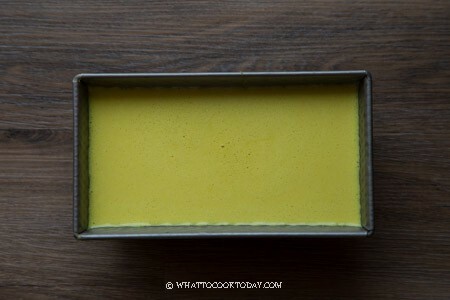 You can use 7 x 7 inch square pan. 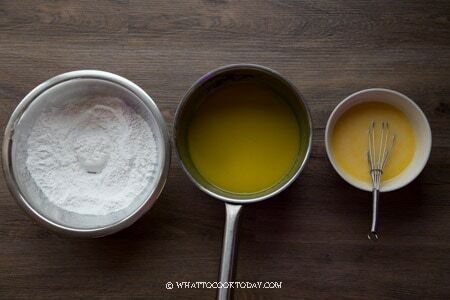 Brush the pan with some oil and then line with parchment paper on the bottom. The oil helps to keep the paper in place. 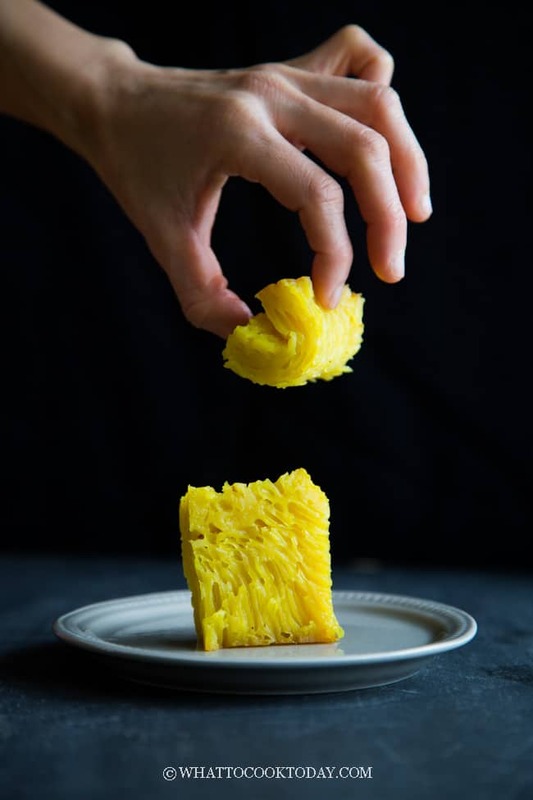 Christine from Vermillion Roots Organized this #SweetLunarNewYear Party where food bloggers come together to share their favorite sweet treat in this virtual Chinese New Year Party. Here are the list of 26 sweet treats you DO NOT want to miss! Thank you so much Christine for including me in your party again this year. I’m just honored to be in the list among these wonderfully talented people! I wish everyone a Happy Chinese New Year, Gong Xi Fa Chai. May this year of Rooster brings you health, prosperity, wealth, wisdom, and harmony! 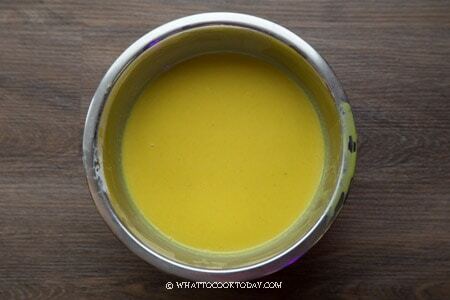 The turmeric and kaffir lime leaf must give it such a nice flavor. The texture looks really appetizing. I’m definitely going to make this! I’m missing the festive atmosphere back home too but I’m blessed with so many great recipes from the #SweetLunarNewYear party to combat the homesickness. Have a sweet celebration! What a beautiful looking cake. And I love that it’s gluten free! So glad I found your blog through the #SweetLunarNewYear party. 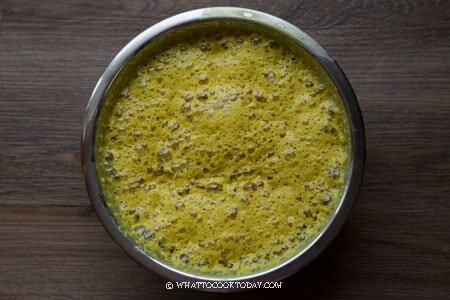 You’re so creative to add turmeric and kaffir lime leaf in the recipe. 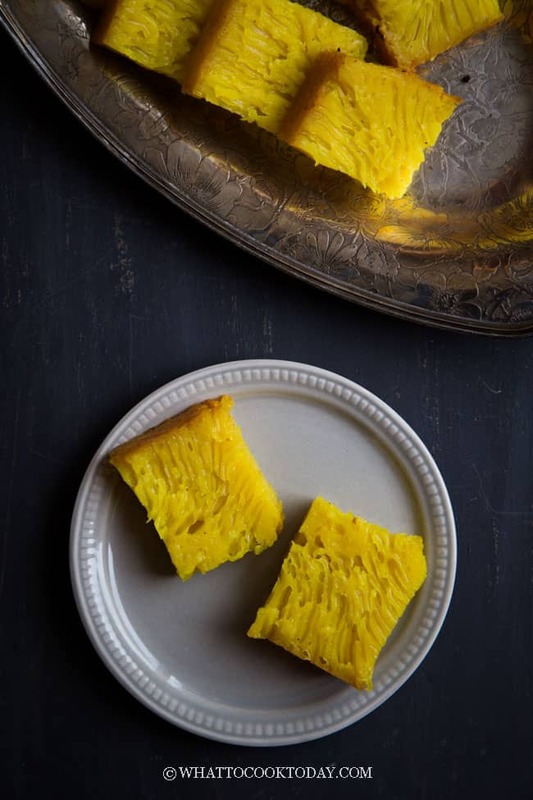 I’m bookmarking this bingka ambon recipe and will try it after the CNY holidays. It looks delicious! Especially so because your photos are beautiful. And I get what you mean about missing the celebration; when I lived in the middle of nowhere Texas I knew exactly one Asian and just did what I could to celebrate. This cake sounds so yummy. Ooo… I love this. I think in Indonesia we call it “bika Ambon” 🙂 This is also a must have for Chinese New Year. I could never get it straight whether it’s Bika or Bingka ha.ha..ha..!!! Marvellina, this looks amazing! I love this cake but have never tried making it. Excited to give this recipe a try. Thank you for sharing, and Gong Xi Fa Cai! Great job Marv! You made Medanese proud. The texture looks amazing! I love your photos too 🙂 Happy lunar new year! Thank you so much. 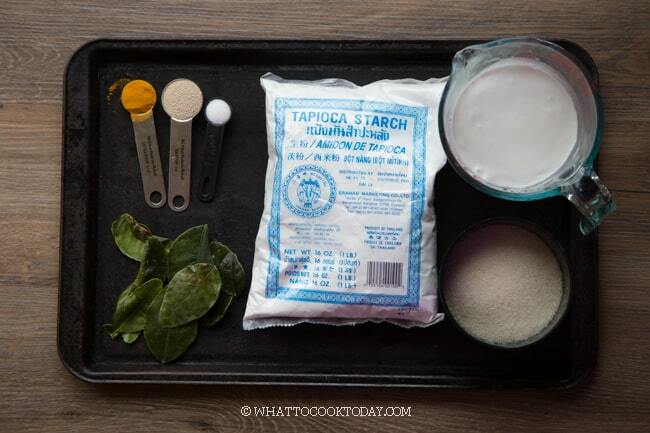 Many of the Indonesian recipes or I can probably say other Southeast Asia countries like Vietnam, Malaysia, Singapore, and Thai do use tapioca flour too. Thank you for your recipe Marvellina. I have only tasted bingka ambon once, someone bought it from Medan, very long time ago. Now I can bake my own :D. Thank you again . 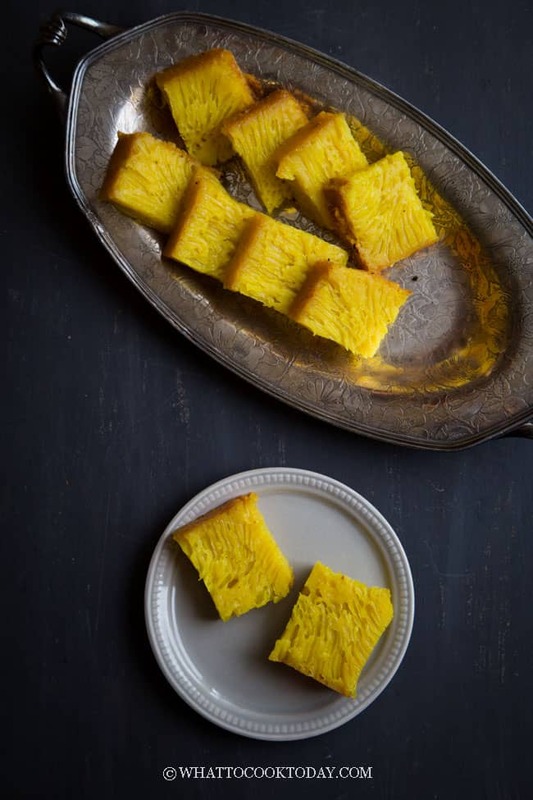 Yes, the kaffir lime leaves give an incredible flavor to this bika ambon. You are such a great baker Lisa. I’m sure yours will turn out even better!!! I wish I could be home (Hong Kong) every Chinese New Year too! The atmosphere is festive. I love seeing my extended families at my grandma’s home running around and talking. It is always loud and crazy. At that moment, you found it a bit annoying. But when I’m not there, I miss every minute of that! I have never had or even heard of Bika Ambon. The honey comb pattern looks really cool! 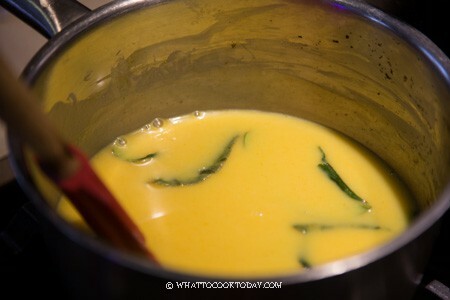 Since it has coconut milk and kaffir lime leaves, I am sure I would love them! Happy Chinese New Year to you and your family! I love the scent of lime leaves so I know I would love this cake. The texture is very interesting. Happy Chinese New Year to you and yours! Thank you so much Lily. You are right, the texture of this cake is what makes it interesting 🙂 Happy Chinese New Year to you and yours too! Thank you Amy. Happy New Year to you as well!! Hi Marv, I’m baking this cake as I type this comment *fingers crossed* Thanks for the amazing recipe. Can I check if in your experience the texture /flavor of the cake deteriorates with time or not? ohh…I hope it turns out good for you. Let me know what you think if you have a chance! I think they still taste pretty good and texture is still great for the first 3 days. I store them in the refrigerator after that. It’s not humid where I live here. But after day 3, I store it in the refrigerator and I just reheat it in a steamer for a little bit to get it back to more “soft”, because it is harden after refrigeration. The family didn’t complain much about the texture and taste though. Did you need to leave the oven door open while baking? Thank you! Thank you for your reply! I just made mine today with my grandma’s recipe (she’s visiting from Medan!) and used your techniques. I finally got the honeycomb texture! Thank you so much! Oh….lucky you!! Must be lots of goodies from Medan 🙂 If you don’t mind sharing, I would love to try your grandma’s recipe (if it’s not a secret recipe that is ha.ha…). Hi, I want to make bika ambon soon and I have tried it. It’s good! I want to make the cake one week ahead before the project because my eggs are about to reach the printed date on the carton. Bika Ambon usually become hard after a week has passed. How should I soften them again? Should I use steamer to soften them? You can definitely use a steamer that will definitely moisten it up again or you can cover it with an aluminum foil and bake it at low temperature about 200-250 F. We just want to warm it up to soften it, not to the point of hot. Thank you Marvellina for the reply! I’m actually from Medan and your cake tastes really similar to the cake I often eat. They’re both good.